The son of a master European blacksmith, and a student of the late Francis Whitaker, Boleslaw Kochanowski carries on the historic tradition of craftsmanship and creative vision. An accomplished artist and draftsman, Boleslaw’s hand drawings are inspired by your dreams, wishes, and desires. 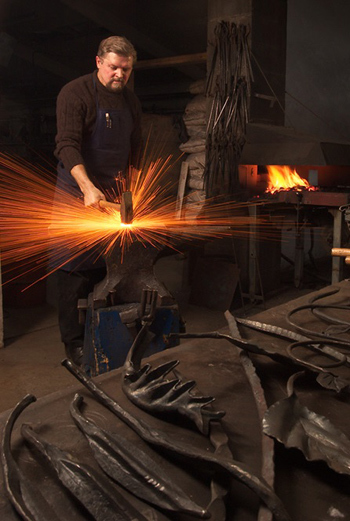 Forged into reality, his creative designs will provide the ideal touch for all your ironwork projects. Boleslaw's wrought iron projects include architectural ironwork/functional art, home decor and fine art. Be sure to view the Portfolio to see examples of this metal transformed into beauty.